You can easily protect the most commonly damaged items during a move. Reducing the risk of damage to your belongings is the best way to make unpacking in your new home a good experience. If you choose to pack on your own, the first step to keep your glass safe is to choose a box that is small enough to be easily carried by one person with little need for awkward handling. A box too large means you will fill it too full of glassware, which is heavy in large quantities. There are two common mistakes with packing glassware: packing too lose and packing too tight. 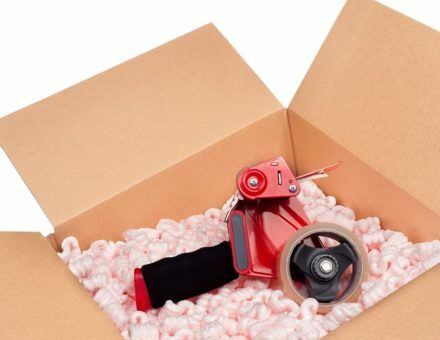 When packing too loose, the items can move around too much in the box, increasing the chance of breakage. When packed too tight, the pressure of the pieces against each other can be too great, causing cracking if the box is placed under stress, such as when it is stacked with other boxes. After each glass piece is wrapped, it should be packed snugly next to its fellows, but you should be able to get a finger in between the items after they are packed in the box. After unboxing your computer, printer, or TV for the first time, you send the foam and cardboard boxes to the curb or to recycling. But these boxes are very helpful for preventing damage to your electronics. These electronics are often heavy and awkward in size or shape. Having the original packaging can minimize damage. Art can be an expensive casualty of moving. Stretched canvases, restoration glass and frames, and original paintings are best left to professional movers. Even when handled carefully, it doesn’t take much to over-stretch a canvas or shatter the protective glass on a custom frame. Use boxes that allow smaller pieces to fit snugly and upright. Be sure to pack art in a way that prevents moving around or falling forward. Place corner protectors on frames and wrap sculptures and ornate frames in shrink wrap to prevent surface damage. Larger items like nets and treadmills should be completely disassembled with the pieces secured in boxes if possible. Finally, for delicate equipment like bikes, make sure you transport them separately from the main load. These are just a few of the items that can get easily damaged without proper preparation and professional help. For best results, consult our professional movers about packing and loading fragile items. Here at All Brunswick we can provide all the services required for both short-and long-distance moving needs.